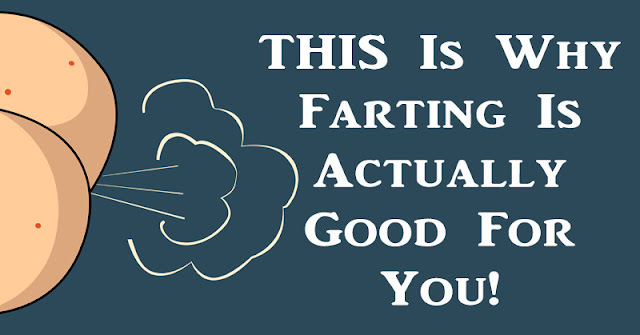 Although it brings embarrassment for you at public places, flatulence can, in fact, be a sign that you are eating healthy food. According to health experts, passing air frequently is actually a sign of good health as passing air prevents bloating. Some of it is caused by water retention, where your cells hang onto the extra water for one reason or another, but that feeling of fullness and discomfort in your belly? While occasionally clenching to avoid an embarrassing tooth isn’t an issue, if you have other digestive issues, holding in your gas can potentially cause medical troubles for your colon, according to Women’s Health Mag. While you may resent it some days, you might be grateful when you realize that your gas can occasionally predict major health issues early, giving you a sign to get to the doctor and have yourself evaluated. It sounds weird but bears with us; studies have indicated that a compound we produce in small quantities in our gas, hydrogen sulfide, might actually protect us from later illness. This gas is the “rotten egg” smell often present in the digestive gas and is toxic in large doses, but in small doses may stave off cell damage and prevent strokes and heart attacks down the line. Holding in the gas can make you grumpy, uncomfortable, and snappish; reasonably, releasing boosts your mood considerably!